Our fence is an artificial ivy leaf screen with realistic looking ivy leaves that help to provide that extra privacy while you are outdoor sun gazing or relaxing in your own backyard. The leaves the made with realistic face-resistant polyester that help to add a subtle but natural decorative accent to your property. It is light and very simple to install on any wooden or metal fence. Zip ties not included. Perfect for anyone who needs that extra privacy on their balcony or backyard to feel a little bit more like home. 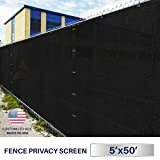 Best Choice Products is proud to present this brand new Faux Ivy Privacy Fence. 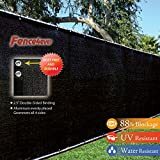 Our fence is an artificial ivy leaf screen with realistic looking ivy leaves that help to provide that extra privacy while you are outdoor sun gazing or relaxing in your own backyard. The leaves the made with realistic face-resistant polyester that help to add a subtle but natural decorative accent to your property. It is light and very simple to install on any wooden or metal fence . We purchase our products directly from the manufacturer, so you know you're getting the best prices available. 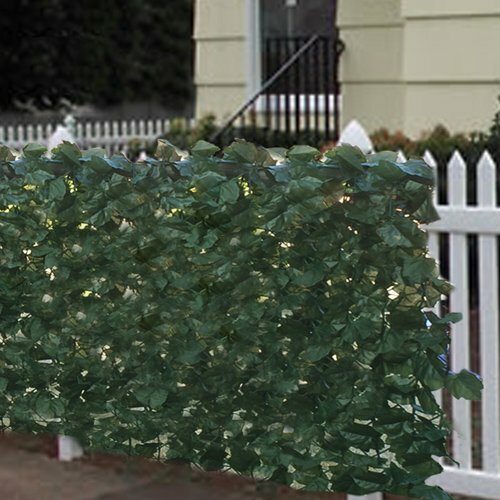 NEW PRODUCT WITH FACTORY PACKAGING Our fence is an artificial ivy leaf screen with realistic looking ivy leaves that help to provide that extra privacy while you are outdoor sun gazing or relaxing in your own backyard. The leaves the made with realistic face-resistant polyester that help to add a subtle but natural decorative accent to your property. It is light and very simple to install on any wooden or metal fence. Perfect for anyone who needs that extra privacy on their balcony or backyard to feel a little bit more like home. Overall dimensions: 7ft. 10inches X 3ft. 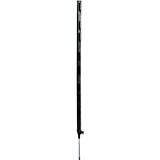 3inches SPECIFICATIONS: Overall dimensions: 7ft. 10inches X 3ft. 3inches Product Weight: 3.80 lbs Color: Green PLEASE NOTE: Our digital images are as accurate as possible. However, different monitors may cause colors to vary slightly. Some of our items are handcrafted and/or hand finished. Color can vary and slight imperfections in the metal work are normal and considered evidence of the hand-finishing process, which adds character and authenticity to those items.